Remember to measure your pet for the paw-fect fit. Calling all baseball fans! Get your personal, four-legged mascot ready for game day with the Pets First MLB Dog & Cat Jersey. Sporting your favorite team's official name and logo, this high-quality jersey is designed with the look and feel of a real pro uniform—so your pet can feel like one of the gang. The fuzzy fastener closure is adorned with four faux buttons, while the screen-printed lettering and comfortable jersey fabric completes the authentic appeal. There’s even an MLB “property of” jock tag on the back that allows you to add a touch of personalization. Because win or lose, it’s all about the look for your favorite MVP—most valuable pet, that is! Machine wash on cold/delicate, line dry, do not iron. I measured her links wise, but the shirt just wasn’t right for her. Regardless I put it on her and she got it off as quickly as possible! Although that was hysterical to watch, I have to admit. Pretty sure it was the Velcro tabs (her other ones have buttons). I’ll try again with the smaller size and maybe she won’t be so irritated by it. I don’t believe in dressing dogs, but seeing this Yankee jersey, I just had to get it and I love it. Perfect fit (x-small) on my 5 pound Chihuahua and I’m sure he can gain another 2 pounds and still fit. The only thing I’m not happy with is that I made baseball jerseys and I’m very picky. I found lack of quality control on the labels and screen-printing, it’s not centered/ crooked. Not that Benny cares. You won’t regret getting one. Excellent quality. Sizing was exactly what I expected. Baseball jersey material doesn't shrink when washed. Would definitely recommend!! Chewy's shipping was fast and accurate as always. We love Chewy! I bought two different sized Cubs shirts. One was medium for my mini schnauzer who usually wears that size and the second one was a small for my Chihuahua. The medium is much bigger than the small and was too big for the schnauzer. The small was too big for the Chihuahua and fit my schnauzer just fine. I bought this as a gift for my daughter and her boyfriend's dog. My daughter's boyfriend is a big Los Angeles Dodgers fan, so he was happy to get this for their dog to wear and he looks so cute in it!!! I really wanted this Phillies jersey for my Yorkie, Johnny. I read all the reviews to figure out what size to get. I figured a small, he’s gotten a little bigger and he’s about 6 pounds. Glad I read, ended up with an extra small and it fits perfectly. So, heads up, they run a little big. Ready for the baseball themed birthday party! My grandson is having his first birthday party next month which is a baseball theme. Our pup will be ready in his Orioles jersey! Nice quality and very easy to put on. We have a 7 1/2 pound maltipoo and the small fit great. Some of his measurements made me think I might need a medium, but after reading the reviews (especially from people with smaller dogs) I decided on the small. 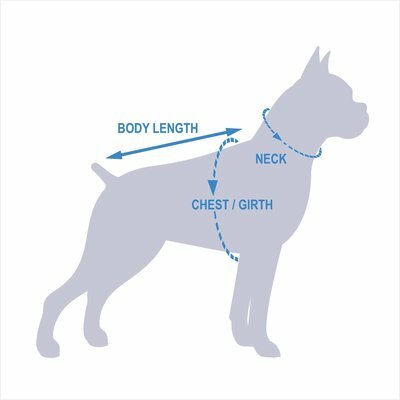 So helpful when people include the breed and weight of their pet in the review. The product looks very nice for the price. The shirt velcros underneath the dog at 4 spots. None of which stay attached more than a couple of steps making it impossible to keep on. Not happy with it. To bad because it's really cute for those 2 steps.